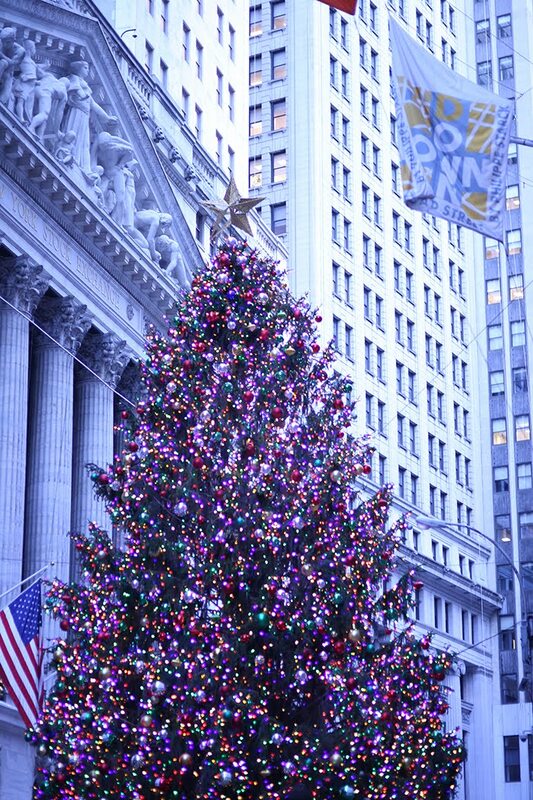 Countdown to Christmas from Wall Street! Today I'm festive & cozy in my Top Vintage 1940's Christiane dress... although this beauty would be perfect for any winter day! I'll keep it short & sweet today, as I'm off to do the last bit of holiday preparations. Cheers to a joyful weekend! The glittering Christmas lights behind you made for the most magical backdrop!